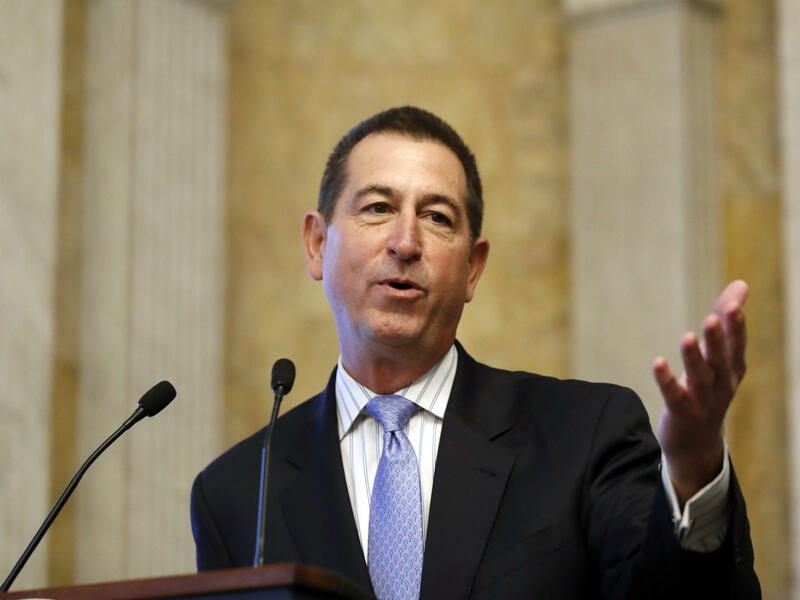 Comptroller of the Currency Joseph Otting, a former bank executive, is testifying before Congress this week about reshaping some banking rules. Joseph Otting is a former banking executive who is now in charge of an agency that oversees the nation's largest banks – including some that Otting used to help run. And he's slated to appear before the Senate Banking Committee, a panel that includes Massachusetts Democrat Sen. Elizabeth Warren, who has been sharply critical of the Trump administration financial regulators. It's the first time in nearly 40 years that a banking executive has been in charge of the Office of the Comptroller of the Currency, or OCC, an independent financial regulator within the Treasury Department that regulates large banks across the country. Consumer groups have been nervously watching what Otting will do. His track record as a banker gives them pause. Otting had been the chief executive of OneWest Bank, which drew criticism for aggressive foreclosure practices after the housing crash. He worked there with Steven Mnuchin, who is now the Treasury secretary. OneWest was later sold and became part of CIT Group. As the chief of OCC, Otting is recusing himself from issues involving CIT Group, the OCC has said. Christopher Peterson with the Consumer Federation of America says he is also particularly concerned with one move Otting has made as a banking regulator — encouraging big banks to compete with payday lenders. These are short-term, smaller loans, often for a few hundred dollars, to pay for things like unexpected car repairs, for example. These types of loans often carry very high interest rates, which lenders say is to help protect against the risk that the borrower may not be able to afford to pay the loan back. "With so much access to capital and bank branches all across America, we have the potential to have more and more predatory loans out there," Peterson said. Under the Obama administration, banks were blocked from making these loans. Today such small-dollar loans are mostly the province of storefront and online payday lending operations. When Otting testified before the House Financial Services Committee on Wednesday, conservatives said it would be good if reputable mainstream banks got back into making short-term, small loans to working-class people. "Sixty-three percent of Americans don't have enough in their savings account to cover a $500 emergency expense, so making sure Americans have access in times of need is incredibly important," said Rep. Sean Duffy, a Wisconsin Republican, during the hearing. Otting agreed, saying this initiative was close to his heart. "We forced banks out of that space in 2013 and, for the life of me, on a supply and demand basis if you take a big segment of supply out what generally happened is the consumers got the raw end of that deal," Otting said. He suggested that if banks compete with payday lenders, that would help Americans needing emergency cash to get better lending terms and interest rates than are now available. "By getting banks back in that space I think they get fair, more economically efficient for them pricing on loans," Otting told House lawmakers. He said borrowing from banks could also help people improve these consumers' credit scores. That's the banking industry's take, as well. "If banks can do more, then a lot more of those loans are going to be met in a very reputable way," said Wayne Abernathy, an executive vice president with the American Bankers Association. But Peterson isn't so sure. He said that in the past when banks were making these types of loans, some charged triple-digit interest rates. For example, he said, Wells Fargo offered a financial product called a "deposit advance" that consumer groups considered predatory, because it charged an interest rate of about 300 percent plus extra fees. Another concern for consumer and civil rights groups is that Otting said he wants to "modernize" the Community Reinvestment Act. Otting talked about changing the compliance rules for the law to "increase lending, investment, and financial education to where it is needed most." But Jesse Van Tol, the CEO of the National Community Reinvestment Coalition, said he's worried that Otting appears to be trying to make it easier for banks to meet CRA requirements. "We're concerned that the OCC wants to water down the rules," Van Tol said. "Regulators should be working to set and enforce rules that solve the problem of discrimination in lending ..., not working to make life easier for banks who are enjoying record profits." And the top Democrat on the House Financial Services Committee, Rep. Maxine Waters of California, said the Community Reinvestment Act is important when it comes to preventing discrimination in lending. "It is absolutely critical that the CRA, which was designed to combat redlining, is not weakened to let banks off the hook from their obligations," she said during the hearing. Consumer advocates like Peterson say it's still unclear just what the OCC will allow in the future. And they don't know how aggressive Otting will try to be in rolling back regulations and consumer protections. "I think it's a little too soon to tell what Otting's approach is going to be," Peterson says. "He has not come in like a wrecking ball the way Scott Pruitt has at the EPA or Mick Mulvaney has at the Consumer Financial Protection Bureau." Members of the Senate Banking Committee are expected to press Otting on Thursday to try to find out more about his next moves. All right, a powerful banking regulator who was appointed by President Trump is facing questions today in the Senate. Joseph Otting is a former bank executive. He now runs a federal agency that oversees some of the very companies that paid him millions of dollars in compensation. Consumer advocates are particularly worried that he is encouraging banks to make loans like payday lenders. Here's NPR's Chris Arnold. CHRIS ARNOLD, BYLINE: Trump administration officials have been aggressively moving to roll back environmental and consumer protections, and Wall Street watchdog groups have been worried that Joseph Otting would also take a chainsaw to regulations that they like. He now heads up the Office of the Comptroller of the Currency, which oversees the nation's largest banks. Christopher Peterson is with the Consumer Federation of America. CHRISTOPHER PETERSON: Joseph Otting is a multimillionaire bank CEO that made a lot of money in foreclosures on homes of families during the financial crisis. ARNOLD: Otting worked at OneWest Bank, which drew criticism for aggressive foreclosure practices. He worked with a bunch of other banks, too. And it's been nearly 40 years since a former bank executive became the top regulator overseeing banks at the OCC. Otting has a long list of things he wants to change. But actually, Peterson says, so far, Otting hasn't been as aggressive as other Trump appointees. PETERSON: I think it's a little too soon to tell what Otting's approach is going to be. He has not come in like a wrecking ball in the same way that Scott Pruitt has at the EPA or Mick Mulvaney has at the Consumer Financial Protection Bureau. ARNOLD: But Otting has done one very concrete thing so far that worries Peterson. Otting wrote to the CEOs of all national banks to formally encourage them to get into what's called small-dollar loans - that is, a loan, say, for a few hundred bucks to pay for a car repair. Sometimes the loans are more - a few thousand dollars. Many payday lending outfits charge very high interest rates for these types of loans. Under the Obama administration, banks were blocked from making these payday-style loans, and conservatives don't like that. SEAN DUFFY: Sixty-three percent of Americans don't have enough in their savings account to cover a $500 emergency expense. JOSEPH OTTING: By getting banks back in that space, I think they get fair, more economically efficient pricing on loans. ARNOLD: And Otting says people with bad credit could improve their credit scores by paying off these small-dollar loans to banks. OTTING: Then they can get back into the mainstream of banking, and that's another one of my clear goals. PETERSON: Some banks have charged triple-digit interest rates that have rivaled the high costs that you see at payday lenders. For example, Wells Fargo - it had interest rates that were effectively around 300 percent, and they also charged a bunch of extra fees at the same time on top of that 300 percent interest rate. ARNOLD: Peterson says it's still unclear exactly what Otting will allow banks to do this time around. Also on Otting's to-do list - he says he wants to, quote, "modernize" what banks have to do to comply with a civil rights law that requires banks to serve low- and moderate-income neighborhoods. Advocates worry he'll water down the requirements. Otting is bound to get questions about that as he faces the Senate Banking Committee today. Chris Arnold, NPR News.  (SOUNDBITE OF THE DINING ROOMS AND GHITTONI'S "INTERSTELLAR") Transcript provided by NPR, Copyright NPR.